It is hard for me to believe that I met Charles Jayne just ten years ago last December. He filled such a vacuum in my astrological life that it seems as if I must have always known him. One did not have to spend much time with Charles in order to sense that here was a real astrologer. He practiced what he preached. He loved astrology. He was easy to approach and welcomed astrological ideas of all kinds. There are very few modern technical astrologers who did not know and benefit from knowing Charles. He was a key man in our field – a meeting ground inspiration for an entire generation of astrologers with a technical bent. This includes astrologers like Robert Hand, Arthur Blackwell, David Black, Capel McCutcheon, Michael Munkasey, David Cochrane, Roger Elliot, Charles Harvey, Bill Meridian, Neil Michelsen and a great many others. There can be little question that Charles Jayne is the father of modern technical astrology, at least from the tropical standpoint. This is a matter of record, for it is impossible to examine the great many articles and books he has written without coming to this conclusion. After all, he wrote his first technical article (on eclipses) some 46 years ago! Since that time, a continuous stream of books, lectures and papers have come forth, almost all of them of a technical nature. Technical in the sense that they always exhort the reader to examine the techniques and methods they use and to use them with care and awareness. Jayne’s book on progressions and directions is still the most comprehensive ever published. His work on eclipsed, sensitive points, cosmic structure, locality astrology, rectification, long-term cycles, and pre and post-natal charts is also outstanding. Jayne was a forerunner or model of what’s now the standard among modern astrologers: the mixture of both astrological insight and technical proficiency. L. Edward Johndro is the only astrologer (to my knowledge) prior to Jayne who mixed an intense concern for precise astrological techniques with spiritual insight. Jayne was always quick to acknowledge his affinity with and debt to Johndro. In particular, Jayne was interested in astronomical structure of astrology. And by astronomy. I don’t mean just a minimal amount of knowledge about the heavens that might be gleaned from a course or two in the subject. Nor do I mean astronomy of the dry academic sort that some astrologers use to elevate themselves above the rank and file. To Charles Jayne, astronomy was the physical signature of the spiritual and the intuitive. He had no fear of being caught up in some dry academic dust bowl. Astronomy was above all, revelatory for Jayne. It fueled his theoretical leanings. He knew that the spiritual world is reflected in the physical, and he listened for the latest scientific results like words from an oracle. He often remarked that the physical universe is but the shadow of God. Lest I paint Charles as too saintly, let me say something about Jayne in his more wrathful forms. Charles was no friend of mediocrity and he fought it wherever it appeared. In particular, he couldn’t bear astrologers arrogating themselves or making money based on what he considered faulty or erroneous astrological logic and/or concepts. He was adept at unmasking the pretentious and the greedy. It made no difference to Charles if you were a world famous astrologer or a local tyro, he would not hesitate to set you straight-on the spot. I doubt that there is a single close friend of Charles who has not found themselves upon occasion on the wrong side of Charles regarding one issue or another. Charles believed that the quality of astrology varied in inverse proportion to the quantity of astrologers that might gather. In other words, only the few know what the many pretend to know. He had little faith in large organizations. His renowned ARC association was reserved for those astrologers that he considered worthy. Membership was by invitation only. Because of this trait, Charles had an ongoing vision of getting the best astrologers in the world together with each other for a face-to-face exchange of ideas. It was this kind of thinking that led to the formation of ACT (Astrological Conference on Techniques) by Charles and myself, and the creation of the Johndro Award which is given to astrologers who have made a major technical contribution to astrology and who exhibit a generosity of spirit. Rob Hand and I have now proposed that this award be renamed the Johndro-Jayne Award. Jayne participated in a wide variety of astrological groups and associations. Some examples: He was vice-president of Nicholas DeVore’s Astrological Research Society, founded his own Astrological Bureau in 1953, and founded Astrological Research Associates in 1958, which published the first international astrological periodical, In Search. Jayne, along with Charles Emerson, Harry Darling, and Dr. Edgar Wagner, was one of the founding fathers of NCGR. Charles was the author of many articles in Nicholas DeVore’s Encyclopedia of Astrology, including a number that did not carry his name or initials. Almost all of the sections on cosmic structure were his work. In addition, he was president of the Astrologers Guild of America from 1958 to 1960. In 1970, Charles created ARC, the Association for Research in Cosmecology, and began publishing the very fine technical journal Cosmecology Bulletin. He and clinical psychologist David Goodman, created the Astro-Psychological Consultation Center, in New York City in 1973. In addition, through ARC, he formed a great many symposia in conjunction with major astrological associations such as NASO, STAR, NCGR, etc. He served as chairman of the resolutions committee at the 1972 AFA convention, and was a guest of honor at the Cambridge Astrological Association. Jayne was far more than an astrological technician locked up in some ivory tower. In the more than 50 years during which he studied and practiced astrology, he gave countless classes, seminars and weekend workshops, not to mention his counseling practice, which was constant. Charles appeared in many publications including LIFE magazine, and was on radio and TV a number of times including appearances on The David Susskind show. He had written extensively for all kinds of astrological magazines, Dell Horoscope in particular. For over nine years, he and his wife Vivia (a first-rate astrologer in her own right) wrote what has been called the best daily newspaper astrology column in the business. It appeared in the New York Daily News. Charles was well educated. He studied philosophy at Princeton University, electrical engineering at Virginia Polytechnic Institute, and psychology at Columbia University, not to mention courses at the Asia Institute. From 1961-’69, he was a technical analyst on Wall Street. On the esoteric side, he was well schooled in occult theory in general and Theosophy in particular. He had the very good fortune to work with Miss Eleanor Hesseltine, a very high being whom he considered his direct or root teacher in spiritual matters. Jayne brought order and conscience to an astrology that was suffocating from over-psychologizing and humanism. It is not a coincidence that both Rudhyar and Jayne left this world around the same time. Both were seed men and great astrologers. Both assisted in developing an approach to astrology that has an enormous following. This is not to say that Rudhyar did not value technique or that Jayne disdained psychology. That would be a wrong reading of what is being said here. Rudhyar gave an entire generation a feeling for astrology. He developed the psychological and humanistic side of our field. Jayne, almost his alter ego, did all he could to restrain and to prune this tendency. He was an advocate of science and facts, but a science that fed on inspiration and inner direction rather than on itself. 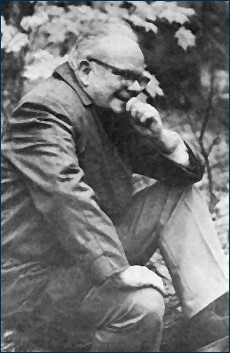 Where Rudhyar ripened as the culmination or exemplar of a psychological approach to astrology, Jayne was the beginning of the reunion of astrology with the technical disciplines of math and astronomy, after a separation of many centuries. While Rudhyar served to achieve a culmination, Jayne marked the beginning of a new style of astrologer, with one foot in the technical and the other in the spiritual. I will miss Charles Jayne, both as a friend and as a progressive force within the astrological community. Astrologers of the caliber of Jane are few and far between. I am sure that many of our readers would have liked to have known Charles. Just for the record, Jayne was very friendly and easy to approach. He liked to meet others who loved astrology, who lived astrology. Knowing Charles was a tremendous experience. A certain type of information is handed down from generation to generation, from mouth to ear, in person. You cannot learn everything from books or even in the lecture hall. If I may be permitted, I’d like to make a pitch for those leaders within the astrological community who are still with us. Take some time and seek them out. Get to know and learn from them. I did this with Charles Jayne and it changed my life. Jayne’s books are available from the American Federation of Astrologers, 6535 S. Rural Rd. Tempe, AZ 85282-0901. Research on Jayne’s post and prenatal charts is now being carried on in Berkeley, California by Arthur Young. Larry Ely is also working with this material.